The Electoral Commission (EC) is praying an Accra High Court for more time to implement its order to bring the Representation of the Peoples Amendment Act (ROPAA) into force. In an application filed by the EC asking for time to implement Act 699, the Chairperson of EC, Jean Mensa, said the Commission has been bedevilled by some challenges leading to its inability to implement the Act. An Accra High Court (Human Rights Division) on December 17, 2017, ordered the EC to activate the process that would enable Ghanaians living abroad to vote in the country’s elections. The court said within 12 calendar months, beginning from January 1, 2018, the EC should lay before parliament the modalities for the implementation of the ROPAA Act so that Ghanaian citizens living abroad can take part in election 2020. The court, presided over by Justice Anthony K. Yeboah, also ordered the EC to explain why it failed to roll out the implementation of the Act within one month after the expiration of the 12-month period. It also ordered the Commission to publish the reasons in the media. The deadline given to the EC to implement the Act has elapsed, and the Commission has taken steps to pray the court for more time to comply with the order. In a motion filed at an Accra High Court, the EC said the Act has not been implemented principally because of three main challenges which the EC faced shortly after the order. 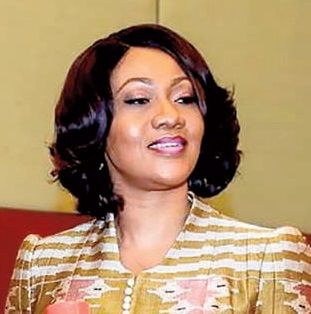 The challenges, the EC Chairperson said, include the removal of Charlotte Osei and her two deputies- Amadu Sulley and Georgina Opoku-Amankwa, who were found guilty of six allegations leveled against them by some petitioners. “I say that after the judgement of the honourable court, and before the order of the court could be complied with, 1st Respondent [EC] experienced serious leadership challenges eventually leading to the removal from office of my predecessor and the Deputy Commissioners, who were then in the Commission,” the affidavit said. “Again, the EC was unable to implement the order of the Court thereafter because of its work relating to National Assignment for the just-ended creation of the six new regions in the country”. Mrs. Mensa indicated in the affidavit of support that the EC has inaugurated a Committee, chaired by the Deputy Chairperson, Dr. Bossman Asare Eric to take the appropriate steps for the implementation of the Act in Ghana. She said the committee is in consultation with the general public, stakeholders and other countries that are practising External Voting to implement the ROPAA Act.